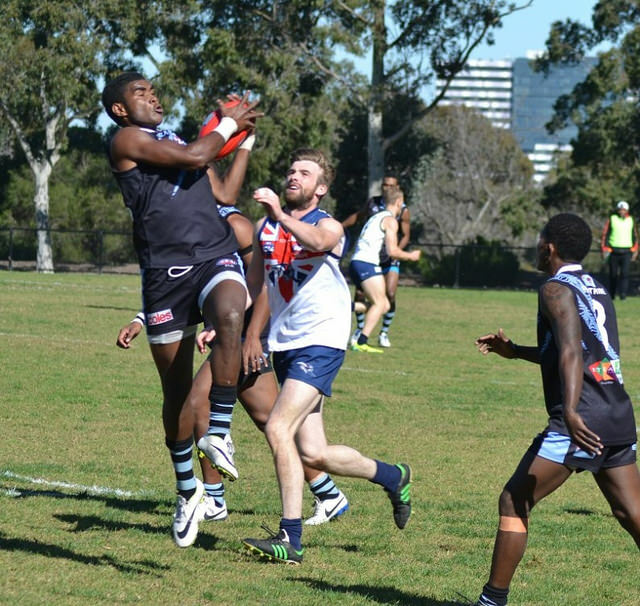 AFL Fiji’s men side arrived in Melbourne last night ahead of their third International Cup appearance. Hopes are high as within the team with Fiji sending its best side to date, hoping to move up in ranking and provide suitable competition to the powerhouses of international football. Fiji Tribe have got what they wanted and move up to Division One in 2017 and will face France, New Zealand, South Africa and Great Britain in the pool game stages, fighting to snap a top three position. Fiji Tribe have built a powerful team with strength, speed, agility and defensive capability which sets up their attack. 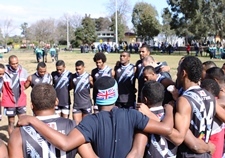 AFL Fiji has had a successful season with the Raiwaqa Crows going back to back for the first time in AFL Fiji’s short history. From 2011 to 2014, the Tribe have experienced players returning and with their leaders in Jiuta Vateitei, Alipate Navuso, Mesake Koroi, Jeff Pauli, Solo Navuso, Inoke Ratu and Pate Seilawa returning to their third International Cup, Fiji will prove to be a true competitor. The players had been training as a squad since the end of 2016 and with the team being cut to 25 from 50, endurance and resistance was the key factor in who made the final team. The skill work of the Fiji sides were always the weaknesses in previous Cups but with most players hitting their peak in 2017, the AFL Fiji Powerade Cup tuned the boys well. Fiji’s prime mid-fielder with an elite right foot, great hands and a big engine. 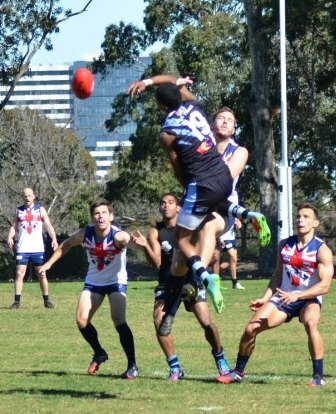 Entering his third International Cup, he has been with AFL Fiji since its birth in 2009. After coming off a dominant season with Premiers Raiwaqa Crows, this will be Jiuta’s best chance to prove to the world that he deserves to be amongst the world’s best. A wonderful lead up forward who can find the ball in any area of the ground but can also transition to mid-field if need be. Powerful hands, leap and the teams most accurate kick up forward, he will prove to be a difference. Was Fiji’s best player in 2011 and 2014. Their fearless leader down back who controls the back-line. Big, tall and a great defender who can win his own ball and reads the play well. Look to him to create run and defend first. Kicking will be his weakness however; opposition forwards will have a big task to take him out of the game. Fiji Tribe will have a hard road to the finals when they face New Zealand, South Africa and Great Britain however all winnable matches if they can keep their discipline and take every opportunity. A top 5 finish will be a great success.